When I broke the news that we had to make a quick trip to the store, the boys were less than excited and frankly did not want to go. I hate to admit it, but I had to do the ol' bribery trick, I promised them each a toy to come along. We compromised by going to Super Target. Bad idea...we were there until almost 6 moseying around. Luckily the dinner I had planned on making was a quick one. We had turkey picadillo over jasmine rice, and steamed green beans. I highly suggest making this meal, you are going to love it! Here's how to pull off this meal in 30 minutos. First make the turkey picadillo. Heat the oil in a large skillet over medium high heat. Add the onions and the bell pepper, and cook for a few minutes until the onions become slightly translucent. If they start to brown, turn the heat down a bit. Add the garlic, and stir for a minute more until fragrant. 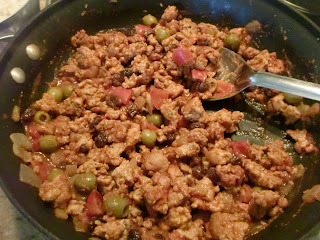 Add the ground turkey, and cook until cooked through, chopping with a spatula. Add the wine, tomato sauce, adobo seasoning, oregano, bay leaf, and salt and pepper to taste. Then, add the raisins and olives with the juice. Cover with a lid, turn heat to low, and simmer until ready to serve. Discard the bay leaf before serving. Once you have the picadillo covered and simmering, put up the rice. The rice I made took 20 minutes to cook. 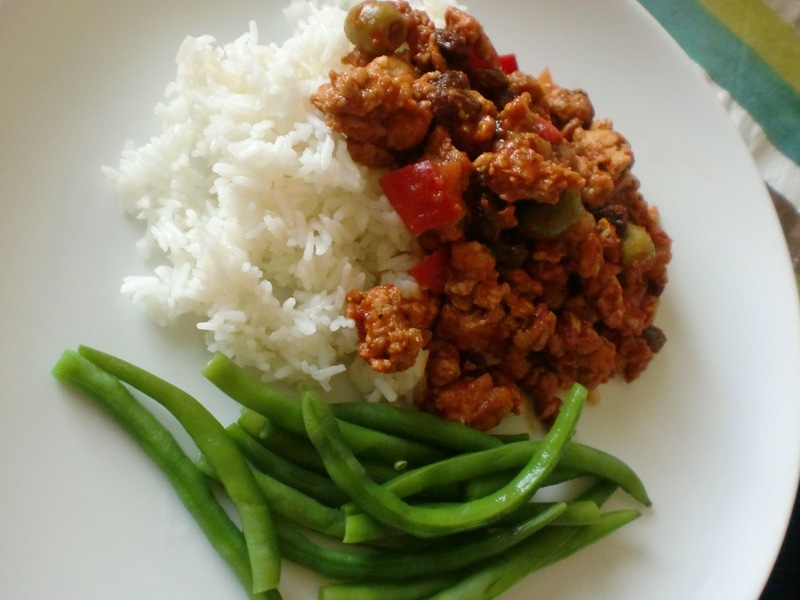 You could also make the rice before the picadillo. 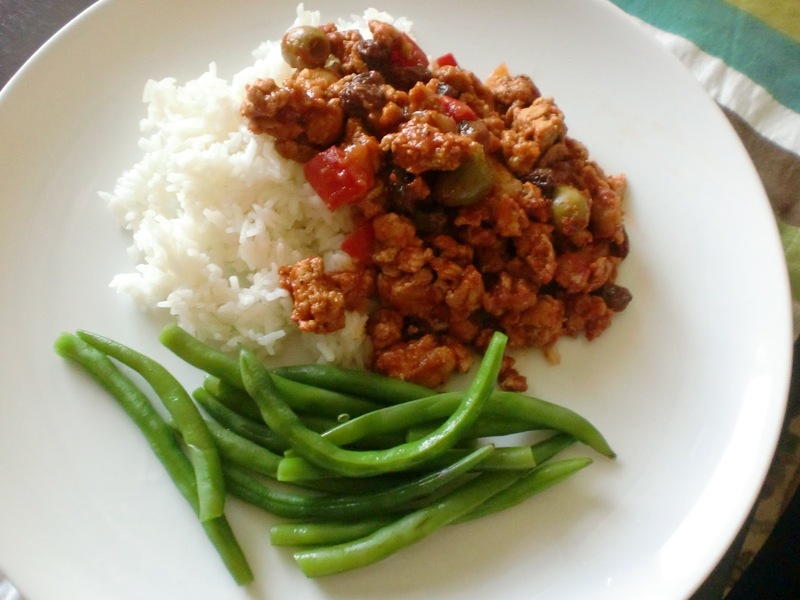 While the rice and picadillo are cooking, steam the green beans. Voila! A tasty meal on the table in 30 minutes.